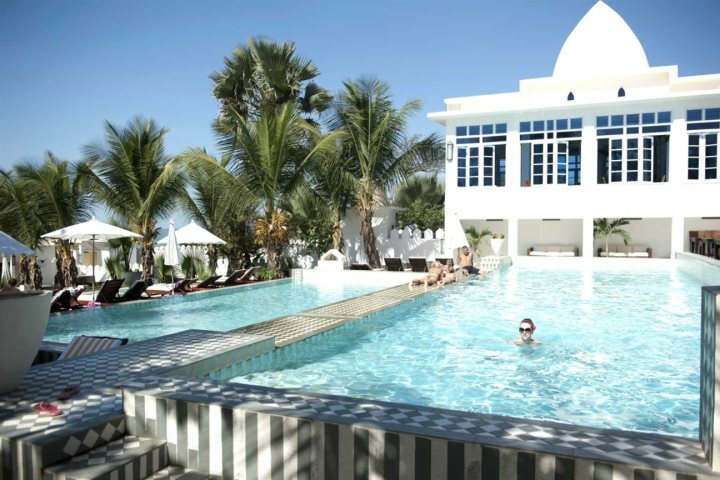 We like to think that a holiday to The Gambia can be so much more than simply relaxing on a beach or by the pool each day. 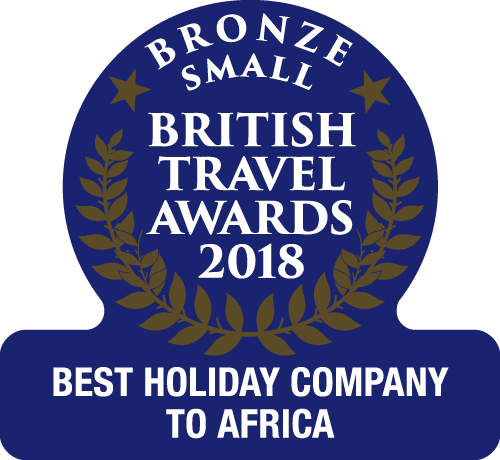 So that’s why we’ve tried to make it as easy as possible for you to discover more of The Gambia with our tailormade holidays. If you want a week on the beach and a week discovering wildlife – we’ve got it covered. If you want a few nights in one luxury hotel and the rest of the week in another, that’s something else we can organise for you – whatever it is you fancy, we can certainly accommodate. Below, we’ve highlighted one of our favourite pre-organised tailormade holidays, an ideal choice if you’re looking for something just a little bit different, titled ‘Coast & African Bush’. 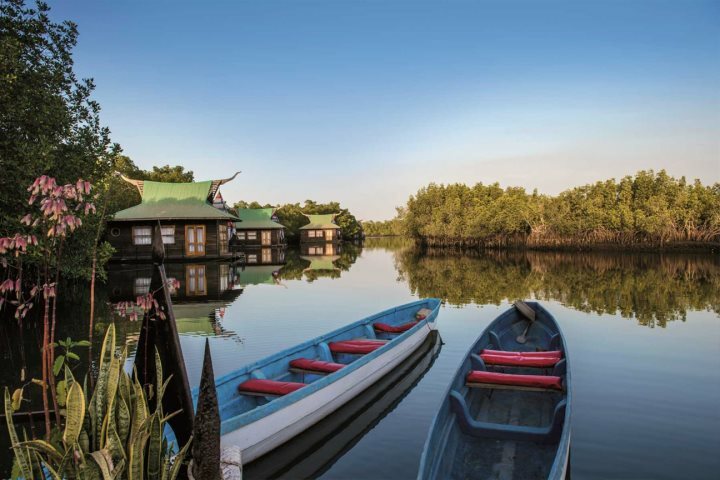 Tucked away in the Makasutu forest along a tributary of the River Gambia, Mandina Lodges is best described as being ‘tranquil and unique’. Listening to the cheeps and chirps of the forest, you can spot all manner of wildlife when staying here, including local baboons, a vast array of birdlife and even the occasional monitor lizard. Guest rooms come in the form of large jungle lodges which boast open rooftop terraces and are hidden amongst the trees, and floating lodges which are on the river itself, with a small private decking area. You can also enjoy guided forest walks and river trips with a personal guide, included as standard when staying at Mandina (half board is included). 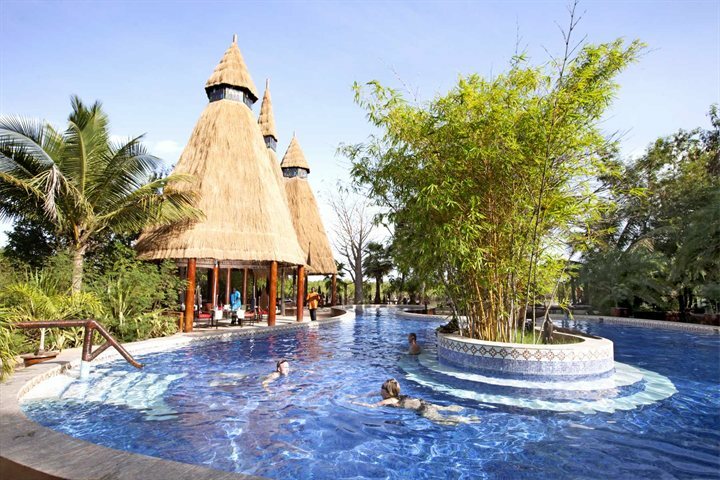 A place to bathe yourself in all kinds of luxury, Coco Ocean is renowned for its beautiful spa and top quality service. Well-kept gardens filled with bougainvillaea flowers and tall coconut palms frame the white washed buildings, and a long stretch of private golden coastline awaits any beach lovers. You can spend your days relaxing by the three-tiered swimming pool and your evenings enjoying Coco Ocean’s superb cuisine. You’re also only 2.5km away from the Kololi strip; with its lively bars and restaurants, ideal should you wish to explore the local area (bed & breakfast board is included). 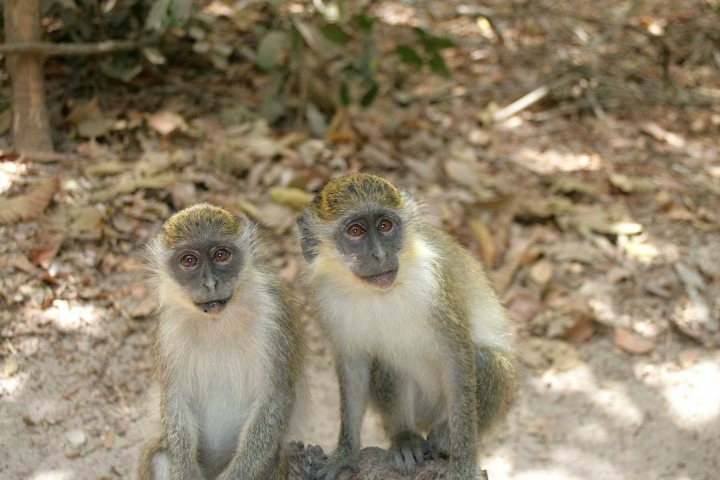 Flights and all transfers are included within our prices, meaning you don’t have to worry about the details for the entirety of your Gambia experience. Separate excursions can also be organised and added into your holiday itinerary, so you can explore until your heart’s content.